Nick Saban is on another level, folks. Alabama’s 2019 recruiting class was ranked No. 1 by 247Sports, and it’s easy to see why. In fact, the program’s latest list of signees is so impressive all you Crimson Tide haters might feel inclined to rush to your nearest waste basket or toilet to throw up. The big picture: With an average rating of 0.9438, the Alabama 2019 recruiting class has only one 3-star player out of 15 enrollees. Saban landed two 5-star players at premium positions — offensive tackle and defensive end. Of the remaining 13 signees, just one is a 3-star player. That one player is placekicker Will Reichard, who is No. 1 at his position nationally. But there’s more: The Crimson Tide also have 12 other players who have signed letters of intent. All 12 are 4-star players. 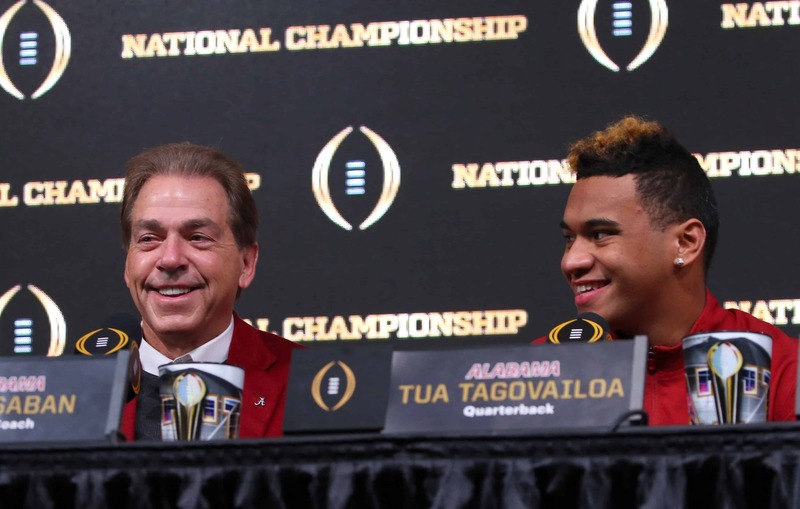 The bottom line: If you were hoping to see Saban’s empire finally crumble after watching Clemson route the Crimson Tide in the title game, think again. Tua Tagovailoa is back again for another season and should be better than ever. Last year’s recruiting class was ranked No. 5 nationally, and Alabama’s 2020 recruiting class is projected to be No. 1.